One of the best ways to relax and unwind while traveling is to enjoy a nice adult beverage and watch the locals go about their day. Fort Lauderdale, and the surrounding metro area, is filled with lots of watering holes and features a little bit of something for everyone. Whether you’re looking for a nice glass of wine, a craft cocktail, or more booze for your buck, the city has got you covered. The trouble is there are so many great choices you may not know which is the right option for your mood. Lucky for you, we’ve put in countless hours of “research” and have since compiled a list of the best places to get boozy in Fort Lauderdale based on the kind of fun you’re looking for. You can’t come to Fort Lauderdale without visiting one of it’s best commodities: the beach! Lulu’s Bait Shack sits right on A1A in the heart of the Fort Lauderdale Beach and gives you one of the best people watching views in town. They serve up a fun mix of cocktails with a South Florida twist in every size from “coconut” to “fishbowl”. If considering a fishbowl, make sure you bring enough friends to either A. help you drink it, or B. carry you out of the bar when you pass out. 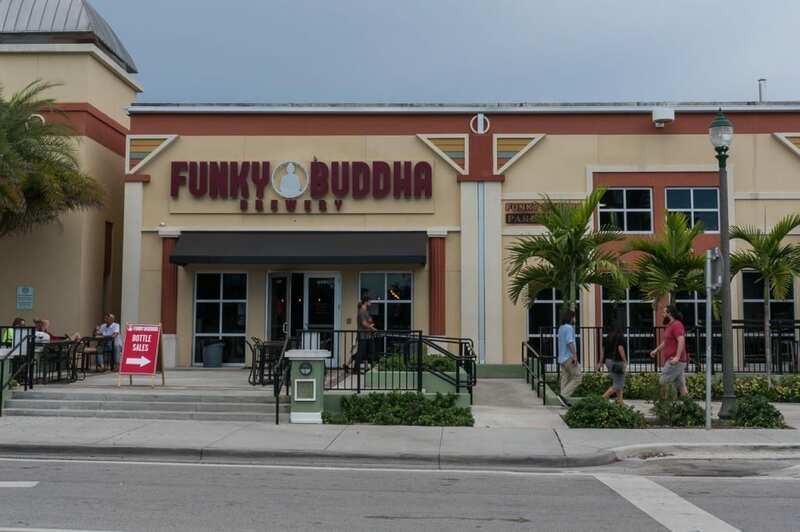 If you enjoy spending your time browsing through reviews on Beer Advocate and you know the difference between a Helles and a Hefeweizen, then Funky Buddha (in photo top) is the place for you. Their brewery has been open since 2010 and has consistently produced a series of award winning year-round selections alongside a wide variety of creative small batch brews. Their taproom is a large and comfortable space with both indoor and outdoor seating so it’s a great spot to stop in for a quick sampling, or settle in for a night of serious beer tasting. They don’t serve food, however there are usually a number of food trucks on scene and they do allow you to supply your own grub. If you’re looking for a bit of “Vegas Baby”, during your trip to Fort Lauderdale, then the Seminole Hard Rock Casino is the right place for you. While the casino itself features slots and table games galore, the surrounding entertainment complex is the star of the show. Looking for a Piano Bar? They’ve got that. Irsih Pub? Yep, they have one of those too. Skybar? of course! With 9 different bars and clubs all within walking distance there is definitely a little bit of something for everyone and bar hopping is a breeze. With specials like “Beat the Clock” and “Unlimited Beer Pong”, America’s Backyard is the place to let out your inner frat boy. This is the ideal spot to kick off your shoes, dance, and let it all hang out (okay maybe you need to keep your shoes on). This is one of Fort Lauderdale’s favorite places for locals and tourists alike. The MaiKai has been a Fort Lauderdale staple since it opened it’s doors in 1956. 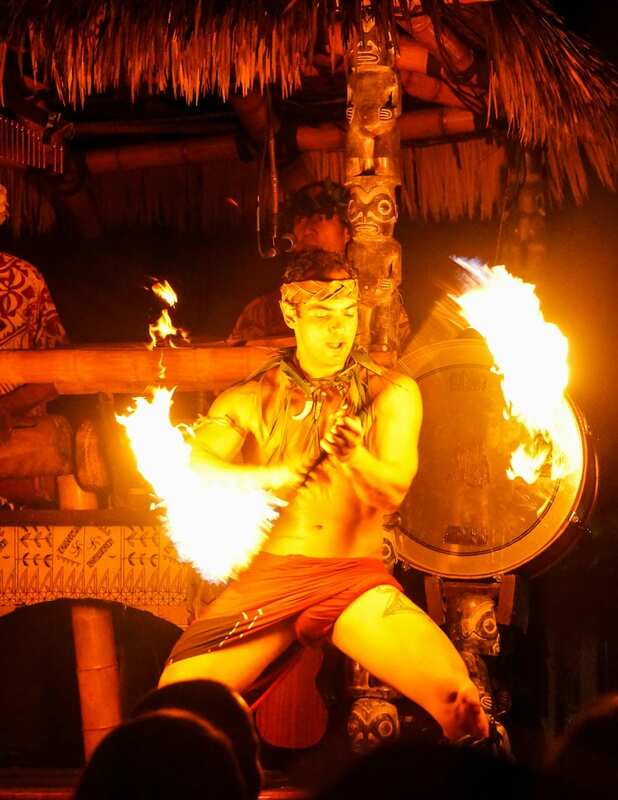 They feature an impressive show that focuses on Polynesia’s rich heritage in a blend of dance and other traditional performances. They have an extensive list of tropical drinks that are paired with an inspired fusion menu that take guests on a tour of the Pacific Rim. Overall the MaiKai makes for a lovely and relaxing evening whether with a group or traveling solo. MaiKai is also a wonderful place to take your sweetheart for a romantic evening. Make sure to call ahead for reservations, because they fill up fast and shows are likely to sell out. Old Florida is alive and well at this nautical themed bar called Wreck Bar. Take in the massive aquariums and the live mermaid show. This classic “dive bar” features porthole windows that peer into the hotel’s main pool. On Friday and Saturday evenings the mermaids come out and put on an impressive underwater show. It’s definitely one of the most memorable spots and shows on the Fort Lauderdale beaches. We are always suckers for a show with our libations so this is one of our favorite spots to soak in the beach scene and view some talented sirens as well. No list of best bars would be complete without a place to enjoy a fine wine and maybe try something new. Naked Grapes has got you covered for both. This cozy and relaxing wine bar has an extensive list of limited and small batch vintages that will surely satisfy your inner sommelier. If you are looking for a snack with your wine, they also have a nice selection of tapas inspired dishes and a deep selection of cheeses that will pair nicely with your choice of wine. Whether you are looking for a relaxing place to grab a drink or a night of entertainment with your libations, Fort Lauderdale has a bit of something for everyone. Do you have a favorite bar or pub in Fort Lauderdale? Tell us about it in the comments below! Author bio: Lauren and Kenin Bassart are the team behind the road trip and travel blog, The Constant Rambler. Their blog was founded in 2012 as part of a career break, and has since evolved into a life of full-time, nomadic travel and operating a successful blogging business. Lauren and Kenin have used the skills learned in the retail sales and finance industries and applied those to the bogging industry with resounding success. Originally born in Trinidad & Tobago, Lauren and her family moved to Florida when she was 10-years old. That big move set her life-path in motion and was the beginning of her wanderlust. Before blogging, Lauren had a successful career in retail banking and finance based on the core concepts of relationship selling. Kenin, is a Cuban-American native to Miami. Prior to blogging, Kenin had a 15-year retail sales leadership career where he specialized in opening new markets, hiring, and training sales consultants and manager candidates. This experience taught him how to build partnerships with many corporations as well as teaching others the fine art of sales and negotiation. He also developed a passion for travel and trip planning. Lauren and Kenin will take this eclectic background and teach bloggers how to approach their business with a sales focused mind. This will help them learn how to build successful relationships that will benefit their partners and readers and elevate the blogging industry as a whole.